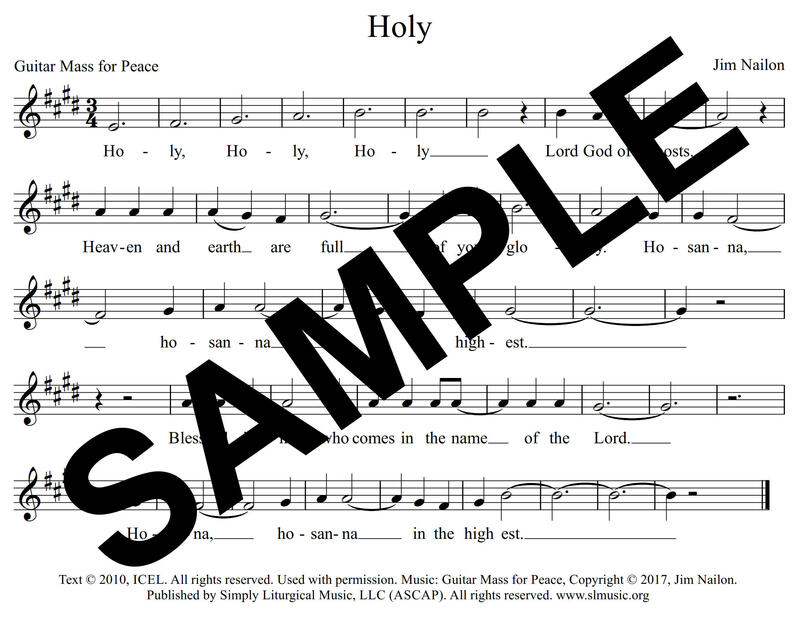 Guitar Mass for Peace is a mass setting for the new translation of the Roman Missal written by James Nailon. 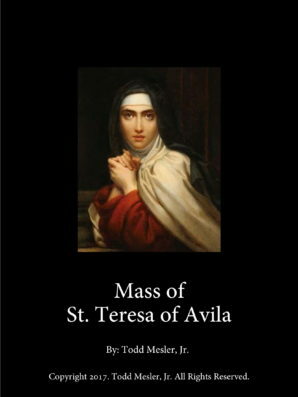 Like the title suggests, it is a setting written especially for the liturgical guitarist . 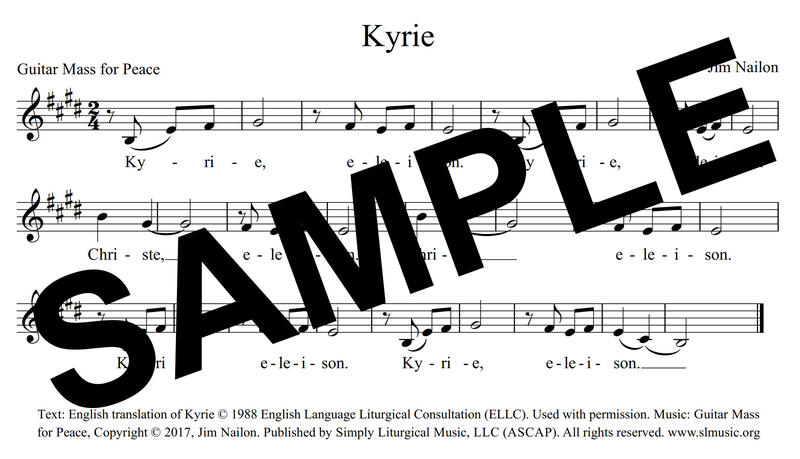 It takes advantage of the guitar’s natural resonance in the key of E Major. 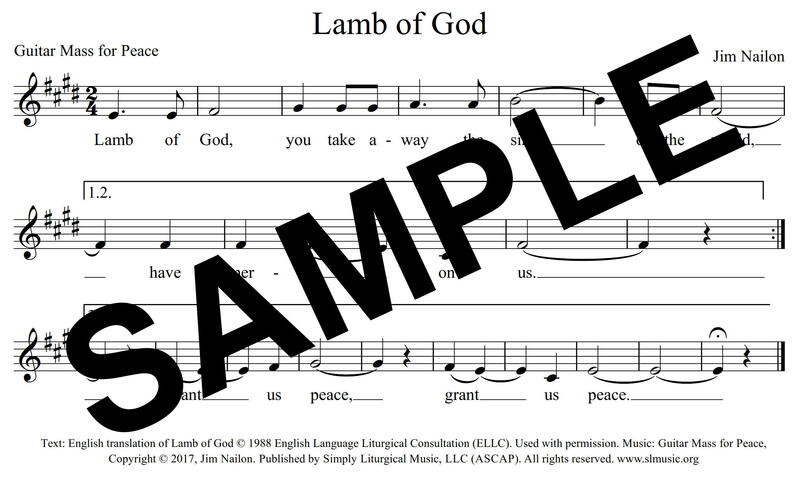 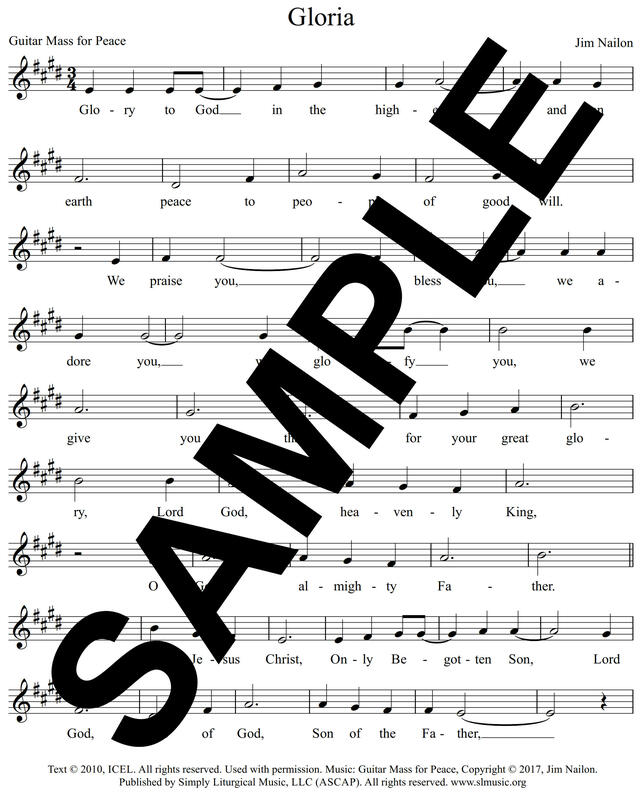 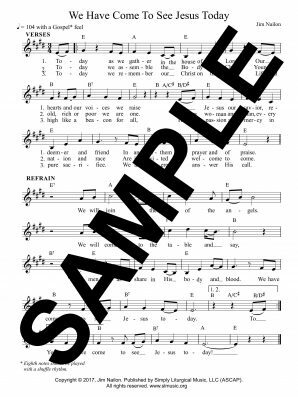 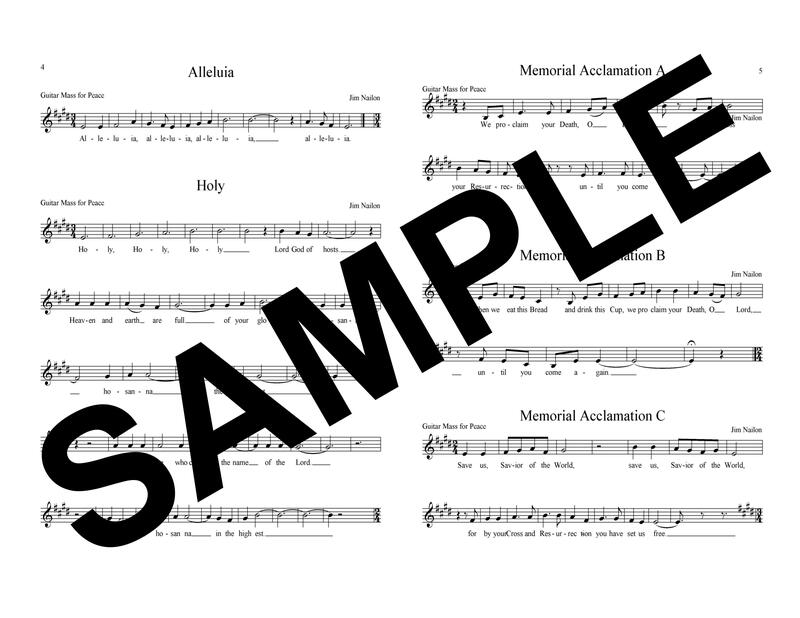 Although originally intended for accompaniment by a single guitarist, a piano part has been added so that the setting can be sung in parishes who favor the piano. 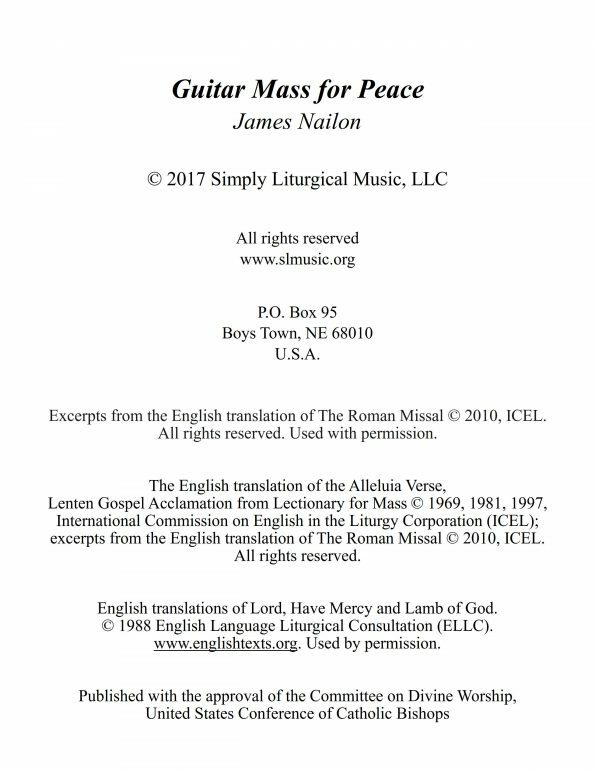 For more YouTube selections from Guitar Mass for Peace, click here.